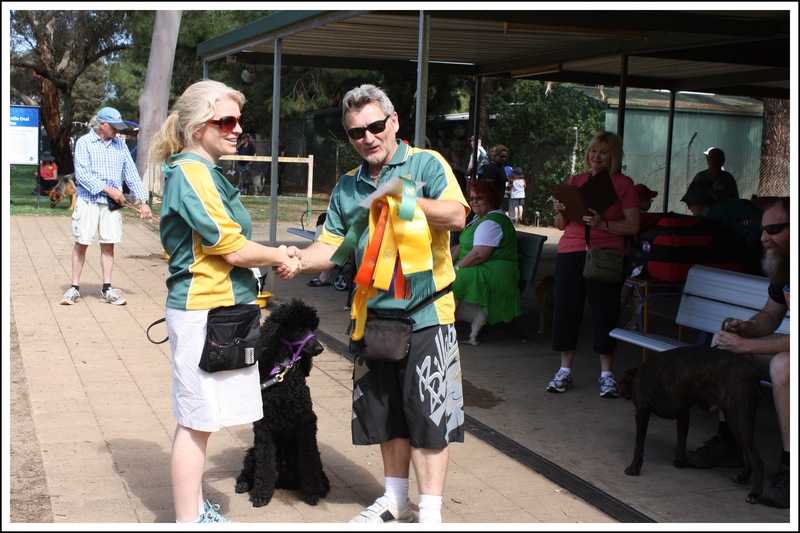 On the last Sunday of each training month there is a short graduation ceremony for dogs, and their owners. In your first class of any grade you will be given a “homework sheet”, which explains what you will learn in that grade. From Grade 1 through to Basic Obedience, there are specific tasks to be mastered in each grade before dogs, and their owners, can graduate to the next level. When those tasks are mastered you will receive a graduate ribbon on graduation day. After successful completion of Grade 3 you will also receive a certificate which will entitle you to a discount on your dog registration with your local council.